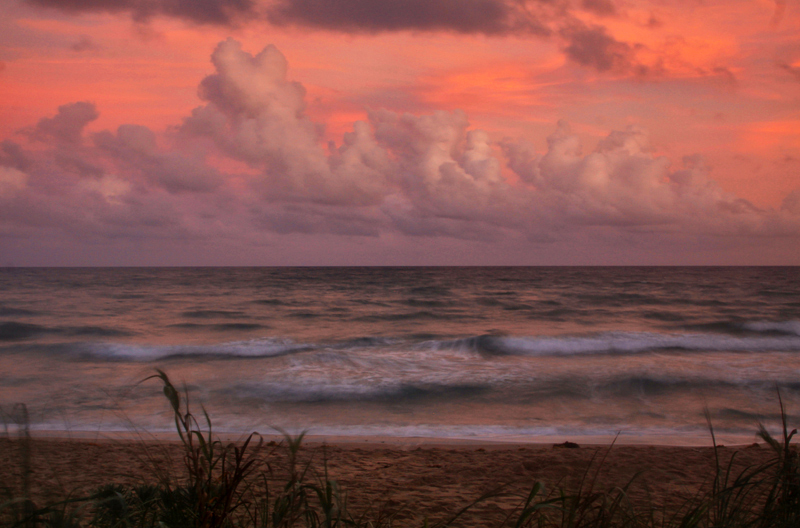 On my first opportunity to shoot a sunset Seascape in 2014, I came across this combination of clouds and fading sunlight off of Ft. Lauderdale Beach. I added some foreground interest with a bit of beach and sea grass, and some slight motion to the waves, resulting in a painterly effect. Hopefully, the promise of this scene, and the new day to follow…are a sign of good things to come.